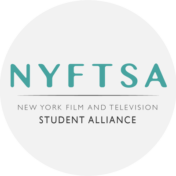 NY Film & Television Student Alliance 2017 Summit! 9/23/17 Save the date! Claudia Rivera September 1, 2017 September 5, 2017 No Comments on NY Film & Television Student Alliance 2017 Summit! 9/23/17 Save the date! Declare Your Major or Minor! CMS Dept. Info Sessions Coming Soon! Claudia Rivera January 26, 2017 January 26, 2017 No Comments on Declare Your Major or Minor! CMS Dept. Info Sessions Coming Soon! 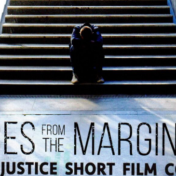 Award-Winning Scholar & Activist Jackson Kats Speaking at Fordham! 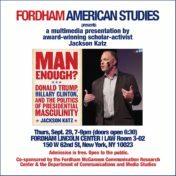 Claudia Rivera September 20, 2016 September 20, 2016 No Comments on Award-Winning Scholar & Activist Jackson Kats Speaking at Fordham! 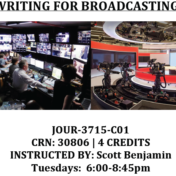 Fall ’16 Course: “Writing for Broadcasting” Still Open for Registration!!! Claudia Rivera September 7, 2016 September 7, 2016 No Comments on Fall ’16 Course: “Writing for Broadcasting” Still Open for Registration!!! 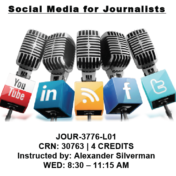 Fall’16 Course: “Social Media for Journalists” Has a Seat Open Just For YOU! Claudia Rivera September 7, 2016 September 7, 2016 No Comments on Fall’16 Course: “Social Media for Journalists” Has a Seat Open Just For YOU! Fall ’16 Course: Social Media for Journalists- NOW Open for Registration! Claudia Rivera August 24, 2016 August 24, 2016 No Comments on Fall ’16 Course: Social Media for Journalists- NOW Open for Registration! 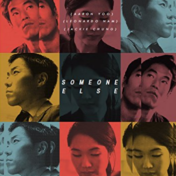 CMS Adjunct Professor Nelson Kim’s New Feature Film! Check it out!!! 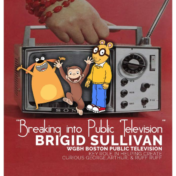 Claudia Rivera June 14, 2016 June 14, 2016 No Comments on CMS Adjunct Professor Nelson Kim’s New Feature Film! Check it out!! !